Joining Hands in the Heartland- 1st Appliance Purchased! Abby Simons, Yr 17 and 18 ERT Member, created a fundraiser among her friends and family to jumpstart this initiative. Through Joining Hands in the Heartland, the first large appliance was purchased for a family affected by the Joplin Tornado. The Appliance will be picked up by the AmeriCorps St. Louis Joplin Recovery Team in Joplin and delivered to her adopted family that has been working with the Joplin Long Term Recovery Committee case management. In Missouri alone, thousands of families have recently been affected by disaster. It’s time to help our state rebuild, recover, and begin anew. This gives individuals and groups an opportunity to join hands in the heartland and give those affected by disasters a lasting gift. With your help, we can make sure these families will have the appliances they need to make their house a home again. Register now to adopt your own family affected by disaster! To mark the one-year anniversary of the May 22 Joplin tornado, we'll be featuring a variety of content on the serve.gov blog, including Q&As with those who served in the community, like this one. Question: What went through your mind when you first landed in Joplin? Gardner: When I first got to Joplin, my immediate concern was connecting with my AmeriCorps St. Louis team and starting to problem solve and make sure the people that had been serving through the night could get some rest. It took days for me to have an emotional reaction because of the need to produce for our AmeriCorps Team, the volunteers, and of course the community of Joplin. I am so grateful that my three years with the Emergency Response Team prepared and enabled me to respond in a mechanical way, supporting my team and all our operations to just focus on getting things done, and emotionally processing the devastation later. Question: Tell us about the moment that touched you most. Gardner: As a non-profit, AmeriCorps St. Louis relies on conservation projects to produce funds we can use to support of disaster responses without burdening the local community. 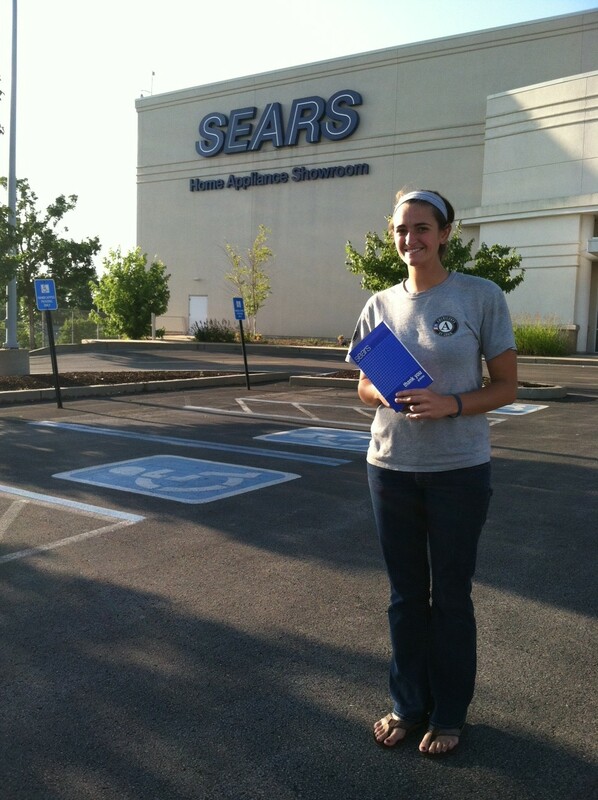 Within a few weeks we started to downsize the number of AmeriCorps members in Joplin so they could return to conservation projects and earn funds to support our operations and continue the disaster work in St. Louis and the South East that we had been engaged in before Joplin. We had a team debrief and it was instantly clear to me that this operation was a defining moment for the team. All of the training, team building, and seemingly "meaningless" projects they had engaged in prior had truly prepared them to produce and lead other programs' members to producing incredible, life-altering results. That group hug, the pride, team work, love and family that is the AmeriCorps St. Louis Emergency Response Team is something I will never forget. Question: In what ways has National Service had the greatest impact in Joplin? Gardner: I don't think there is one answer to this, or any way to summarize what AmeriCorps, specifically AmeriCorps St. Louis -- which has provided to consistent leadership over the last year -- has contributed to Joplin. I also don't think there is a way to summarize what Joplin has contributed to AmeriCorps, or how the strength of the community has affected every single volunteer and AmeriCorps members. If I had to say one thing, it is that we are committed to being there to help the community recover until they do not need us any longer. I know that consistency and dedication has meant the world to the community. Many groups have come and gone.. Our team, truly committed to Joplin, has been there every single day (except the major holidays) doing direct service, and giving others a coordinated way to impact the community. Question: What convinced you to sign up for a second year of service? Question: How have you changed? What skills have you gained since first arriving in Joplin after the storm? Gardner: The past year has been life changing is a variety of ways. I like to think my leadership, my ability to handle stress, and my ability to balance results with relationships have all improved. Before Joplin I thought I had a wide and strong network of disaster contacts. Now, I know that I have that network, and that network isn't just contacts but a family. The relationships I have formed while serving with AmeriCorps St. Louis are irreplaceable. And that is a lesson Joplin helped reinforce. In a time where technology removes so much of personal contact, I am reminded that trusted relationships cannot be replaced. There is so much to be gained, personally and for the mission, by sincerely caring about those you serve and work alongside. Question:What do you see yourself doing in 5 years? How has your service in Joplin influenced that vision? Gardner: I have been offered a unique position with the State of Missouri, focusing on preparedness and response, and am looking forward to that new challenge. As long as I am serving others and contributing to the greater good I feel like any life path I choose will make me happy. 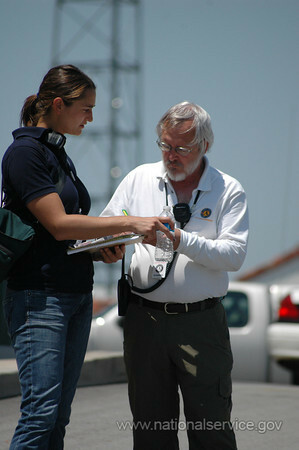 Joplin helped solidify my specific interest in emergency management and the value of the whole community approach. JOPLIN, Missouri –AmeriCorps St. Louis (ACSTL) initial responders, volunteer coordinators and the new Joplin Recovery Team will come together in Joplin this week to reflect upon the past year of recovery and the immense volunteerism that came as a result of the tornado. Over the past 12 months, the ACSTL volunteer reception center has registered and engaged over 75,000 volunteers who contributed over 520,000 hours of service. The volunteer hours, along with the value of donated heavy equipment, have offset over 17.8 million dollars of Joplin’s and Missouri’s share of the disaster costs. On Monday, May 21st, the ACSTL Emergency Response Team will host other national service Members who joined them at different times throughout the year to celebrate of Joplin’s recovery efforts. They will also participate in the Walk of Unity on Tuesday, May 22nd and receive acknowledgement for their work done in Joplin by Washington, D.C. representatives from the Corporation for National and Community Service (CNCS). AmeriCorps St. Louis is a nonprofit organization that strengthens communities by addressing critical unmet needs in the areas of urban education, disaster relief, environmental conservation, and volunteer mobilization. For more information, visit www.acstl.org. Simons: Despite having driven through the night to arrive the morning of the 23rd, I felt energized and ready to face the uncertainty that would be coming. I joined my team, who had arrived a few hours before, and stepped up to fill the holes that had not yet been met. While adrenaline was pumping through my veins, I actually felt a sense of calm because my team and I were prepared to get the process of our response started. Things were coming together in those first few hours by simply utilizing the resources and knowledge we had brought from our St. Louis office. We were getting things done. Simons: While we had thousands of inspirational volunteers in Joplin, a few really made an impact on me. One young man, Toshi, traveled from Japan to volunteer with us. While his community was still recovering from the terrible earthquake earlier that year, he devoted his time in a town he had never heard of: Joplin, Missouri. He was paying forward the American support that flooded to Japan after its disasters. While Toshi left us several inspirational stories, he told me that he wanted to take what he had learned in Joplin back home and create a volunteer center, one that would be ready to respond during a disaster. This led me to look back at my personal service trips to New Orleans and Mississippi after Hurricane Katrina and how those volunteer trips influenced me. They inspired me to continue serving and to lead others into service in hopes that they will bring it back home with them. Question: How are you continuing your service? Simons: I signed up for a second year [in AmeriCorps] because I fell in love with AmeriCorps St. Louis and want to see it succeed. I want to continue to be a part of a program that had accomplished amazing things in the short time I had been serving. Being such a member driven program, I also felt that there was even more to gain from signing up for another year with AmeriCorps St. Louis. Question: How have you changed? What skills have you gained since first arriving in Joplin? Simons: My service during the Joplin Tornado response pushed me in to roles of responsibility and leadership that I couldn't have ever imagined for myself. Now, I feel confident that I can and will succeed when I am faced with a challenge or opportunity that seems a little far out of reach. Question: What do you see yourself doing in 5 years? How has your service in Joplin influenced that vision? Simons: I am currently researching graduate programs in Public Administration with an emphasis in Emergency Management and Nonprofit Management. I hope to become a facilitator of change in our county. The Joplin response definitely had a big part in paving this path for me by allowing me to work directly with our State and Federal Emergency Management partners.